Bowie Style is coming up with a new Print & Pattern book this time featuring art designed for children. 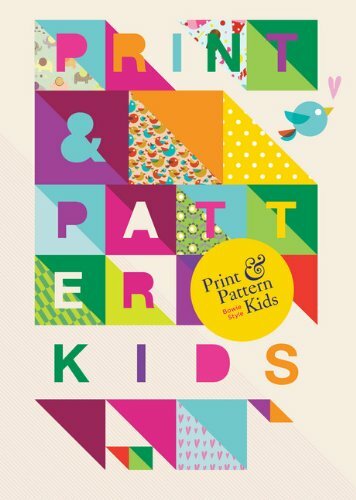 This would be patterns that you see on wallpaper, fabrics, clothing and just about anything that's got to do with kids. There are work from Designers Guild, Cath Kidston, Marc Boutavant, Laura Ashley, Paapii and Dan Stiles, and more. You'll see commercial designs and also previously unseen work. Short designer profiles and designs tips are included.